How familiar are you with Greenhouse Recruiting? Who are the stakeholders involved in the purchase decision for new software? 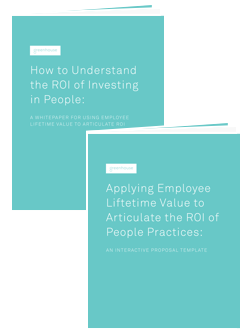 Have you had difficulty articulating your People Team's ROI and getting executive buy-in for the People Practices you want to carry out? It can be a common challenge, but luckily there is a way you can prove your value to the organization. The key is to show the major business impact that optimizing People Practices like hiring, onboarding, and managing talent can create. You can do this by using the concept of Employee Lifetime Value (ELTV) to calculate the relative return of optimized People Practices.